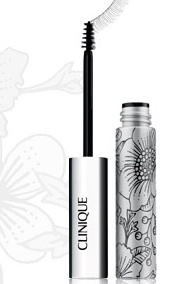 Clinique are the first to release a bottom lash mascara into the UK beauty market, but will they be the last? Clinique’s Bottom Lash Mascara is essentially a mascara tailored specifically to your lower lashes. The teeny weeny brush which fits inside the teeny weeny tube is designed to make mascara application to the bottom lashes easier than ever before (that’s if you ever found it difficult), meaning that smudges underneath the eye will be a thing of the past. The formula boasts 24 hours of flake, smudge and smear resistance as well as being waterproof in cold water. The packaging of this product is lovely, its small, slimline (around the size of a lipstick but thinner) and extremely pretty and you’ll be pleased to know that it won’t result in any other products from your make-up bag being left out in the cold due to over crowding. Another plus point is that this mascara is apparently very good at capturing the lashes in the outer corners, which I actually find more difficult to work with than my lower lashes. At £10 Clinique’s Bottom Lashes is really rather affordable and isn’t much more than a high-street brand mascara, so for those who have trouble with mascara application on their lower lashes this is a must try. However, whilst I think the premise of this mascara is good, I can’t help thinking that it would be slightly over indulgent of me to use two products where one has always been perfectly adequate for my entire mascara wearing life. I think I’ll stick to wiping away any smudges with a trusty old cotton bud for now!